James Cavilia of Allison MacKenzie Law Firm was recently announced as one of the Top Attorneys in Northern Nevada by Nevada Business Magazine. Each year, the publication releases its Legal Elite list highlighting the top attorneys in the state. After an intense nomination, verification, and voting process, Jim was named as part of the 2018 Legal Elite. The Legal Elite list includes only the top 3 percent of attorneys in the state broken down by location. In addition, Legal Elite includes special lists ranking Nevada’s best “Up and Coming” and best government attorneys. The process is rigorous and each nominee must navigate several levels of scrutiny before obtaining approval to appear on the list. After closing the nomination process, each ballot was individually reviewed for eligibility and every voting attorney was verified with the State Bar of Nevada. The Legal Elite process is now in its 11th iteration. Jim is a partner at Allison MacKenzie and has dedicated his career to serving the communities of Northern Nevada. Jim joined the team of Allison MacKenzie in 1992. A native Nevadan, Jim Cavilia graduated from the University of Nevada, Reno, and then obtained a law degree from Santa Clara University School of Law in 1990. Jim was admitted to practice in Nevada in 1990, and in California in 1991. 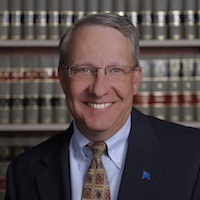 His areas of practice include real estate development law, land use, real estate transactions, administrative law, business law, and water rights law. 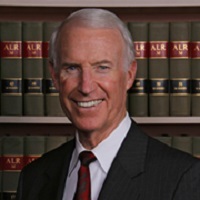 Further, Jim is involved with a number of professional organizations including the Washoe County Bar Association, First Judicial District Bar Association and the State Bar of Nevada. His dedication to the local community is evidenced by his participation with the Catholic Diocese of Reno School Board, St. Teresa of Avila Catholic School Finance Board, Northern Nevada Development Authority Board of Directors, the Boys’ and Girls’ Club of Western Nevada Board of Directors from 1994 through 2003, Catholic Community Services of Northern Nevada Board of Trustees, and Bishop Manogue High School Board of Regents. Congratulations to Jim and all of the distinguished attorneys featured among the 2018 Legal Elite. Allison MacKenzie Law Firm is pleased to announce the hiring of Jennifer McMenomy as an associate attorney, effective May 7, 2018. 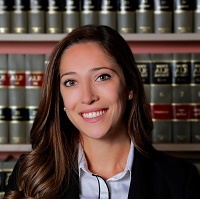 A Carson City native and former Policy Analyst for the Nevada State Legislature – State Assembly, Jennifer joins the law firm and will focus her practice on Administrative Law, Government Affairs, Family Law, Estate Planning, Guardianship, and Probate Law. After graduating from Galena High School, Jennifer received her undergraduate degree in 2010 from the University of Nevada, Reno. Pursuing a law degree, she attended Western State University College of Law in Fullerton, California where she graduated in 2014. After graduation, Jennifer obtained her law licensing in both California (2015) and Nevada (2016). She was also employed as a Government and Regulatory Affairs Analyst for a solar energy company and worked as an attorney in the San Francisco Bay Area before returning to Northern Nevada. Jennifer was drawn to the legal profession as a youngster when she read To Kill a Mockingbird. She began to explore advocacy through the courts and helping others as a career choice. 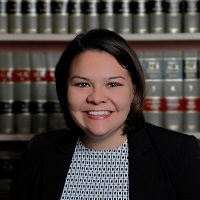 Jennifer is an advocate of civil rights and fair trial proceedings. Jennifer resides in Reno with her husband and is expecting her first child. She spends her free time running with her four-legged partner named Scout, a German Shepherd, and enjoys time with family, baking, and reading. Committed to empowering youth, for the past 2 years, Jennifer has been a judge for the annual “We the People” competition, an organization promoting civic competence and responsibility among upper elementary and secondary students. The talented legal team of Allison MacKenzie is pleased to welcome Jennifer to the organization. The firm is confident she will provide exceptional service to the firm’s clients. For more information about Allison MacKenzie Law Firm, visit www.AllisonMacKenzie.com or call 775.687.0202. Is Your Attorney Well Versed in Statutes and Regulations? The vast majority of Nevada industries are regulated in some way or another, and many of the related regulations and regulatory agencies are obvious. For instance, the Department of Motor Vehicles, in ensuring the safety of our roadways, regulates Nevada drivers and vehicles by issuing permits to qualified drivers, and license plates and registration cards for vehicles meeting DMV standards. Most people can vividly recall the nerves they felt at 16 years of age upon entering and, with luck, the relief upon leaving the DMV to get their first driver’s license. Other regulatory agencies operate more behind the scenes and Nevadans go about their daily lives without giving much, if any, thought to what those agencies do on a daily basis. For instance, the Gaming Control Board ensures that casino operators stay within rules designed to protect consumers from predatory gaming practices. The Public Utility Commission regulates gas, electric, and other utilities to ensure fair rates for all Nevada businesses and citizens. The State Purchasing Division ensures that the companies and individuals providing goods and services to the State do so under fair and competitive contracts. In addition, a host of licensing agencies have been created to regulate specific professionals, including doctors, nurses, attorneys, accountants, engineers, land surveyors, and many others. Construction professionals are regulated by the State Contractors Board. The State Contractors Board was created by the Nevada Legislature in 1931 and is authorized to issue licenses to contractors that meet the standards they establish. Contractors may be issued licenses to perform specialized functions, like plumbing or electrical work, or they may obtain licenses as a general contractor. In all instances, a contractor must pass a licensing exam and go through a rigorous application process that will include the Contractors Board reviewing, among other things, an applicant’s criminal and financial background. Contractor’s licenses are generally limited in accordance with the financial stability of a contractor. A contractor’s license, which is viewable by the public at the Board’s offices or on its website, will have a monetary limit, meaning that the contractor may only accept projects up to a certain dollar value. Ostensibly, this creates protection for the consumer. If a contractor’s monetary license limit is $1 million, the consumer can reasonably expect that it can responsibly and capably handle a project up to that value. One criticism of monetary license limits, however, is that they are tied inextricably to the status of the contractor’s bank account and the Contractors Board is given unfettered authority to reduce a contractor’s monetary license limit when he or she falls on hard times, which was the case for many contractors during the recent recession. Such a reduction operates, effectively, to keep the contractor down by restricting the types of projects he or she is able to accept, regardless of his or her actual skill level and expertise. In addition to monetary license limits, contractors are generally required to post a bond with the Board. In the event of a valid claim by a homeowner, for instance, the Board may authorize the release of the applicable contractor’s bond to the homeowner as a remedy. Contractors also pay annual fees, and a portion of the fees paid by residential construction contractors are deposited into a fund known as the Residential Recovery Fund, which is also made available to help rehabilitate a homeowner who may have been harmed by a contractor’s negligence or violation of the applicable contract. Further, the Contractors Board provides processes by which a homeowner may file complaints or claims against a contractor for any number of alleged violations. In such event, the Board may assign an investigator to visit the site of the project and/or sit down with the complainant and the contractor to ascertain whether any violation of Board regulations has occurred. If the investigator and/or other Board staff determine that a violation has occurred, a formal proceeding may be initiated in which the contractor appears to plead his/her case before an administrative law judge, who will make a ruling on the complaint. If a contractor is found guilty of violating Contractors Board regulations, the contractor is subject to several possible penalties, including fines and suspension or revocation of his/her license. Whether you are a homeowner with a complaint against a contractor who failed to complete your project as expected, or a contractor facing discipline by the Contractors Board, it may be necessary to obtain the services of a qualified attorney to assist you with the process to ensure your rights are protected. In doing so, be sure to look for experienced administrative law attorneys that are well-versed in the statutes and regulations governing proceedings before the Contractors Board. See the article on NNBV. Ryan Russell is a Carson City native and fourth generation Nevadan. After graduating from Carson High School, he earned a Bachelor of Science degree in Business Administration from the University of Nevada, Reno. He went on to obtain a law degree from the William S. Boyd School of Law at the University of Nevada, Las Vegas. 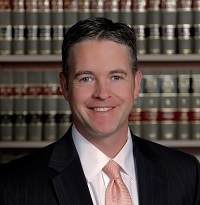 He was admitted to practice law in Nevada in 2003 and joined Allison MacKenzie Law Firm in 2004. 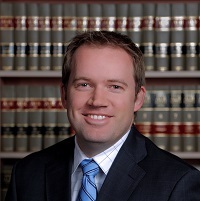 Ryan’s areas of practice have focused on litigation, administrative law, and business law. Currently, he serves as a Judge Pro Tem (substitute judge) for the Carson City Justice and Municipal Court, and serves as Carson City’s representative on the State Bar of Nevada’s Board of Governors. Ryan’s impressive legal advocacy has been recognized by Legal Elite – Nevada Business Magazine in 2012, 2013 and 2017. Further, in 2013, Volunteer Attorneys for Rural Nevadans honored him with the award for Outstanding Service for the Lawyer in the Lobby Project. He is AV® Preeminent™ Peer Review Rated by the Martindale Hubbell Law Directory and his Avvo rating is 10, the highest possible. By serving on the bench, Ryan hopes to be part of furthering the safety and vitality of the community by ensuring the court is run expeditiously, fairly, and evenly, with each individual in the courtroom afforded the respect and decorum of the court itself. In relation to Justice of the Peace position, Ryan believes that the biggest issue facing the community is that of addiction. “Addiction is at the core of many crimes, and certainly at the core of repeat offense, and even is an issue in many civil matters. Our court, through a comprehensive team approach in both misdemeanor addiction court and mental health court, is taking huge strides to address the fundamental issue of addiction. The successes of such programs are reducing recidivism; and thus, improving our community,” Ryan said. Additionally, Ryan volunteers for the Boys and Girls Club of Western Nevada where he served as President of the Board of Directors, in 2009, and is an active member of the Carson City Rotary Club. 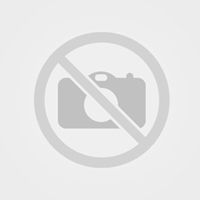 Russell resides in Carson City with Sarah, his wife, and their three children. Allison MacKenzie partner Ryan Russell will be one of this year’s celebrity waiters at the 2018 Have a Heart Celebrity Waiter Fundraiser Dinner. The event is scheduled for Saturday, May 19th at Glen Eagle’s Restaurant and Lounge located at: 3700 N Carson St. in Carson City, Nevada. The Have a Heart Celebrity Waiter Fundraiser Dinner is just one of the many outstanding events organized by local charity, Friends In Service Helping (FISH). FISH provides food, clothing, shelter and medical aid to the homeless and hungry within our community, with the objective to provide programs and referrals to families and individuals so that they may become self-sufficient. Ryan will be working along with other local notables, including KOLO 8 Meteorologist Jeff Thompson, and competing for tips to help raise money to provide services for the local homeless and hungry population. “I am honored to be able to help FISH by being a waiter at the Have a Heart Celebration. The mission of FISH is honorable and a direct benefit to the community I love and hope to serve into the future,” said Ryan Russell about his upcoming volunteer opportunity. In addition to volunteering for this event, Ryan is active with Carson City Rotary Club and the Boys and Girls Club of Western Nevada where he served as President of the Board of Directors in 2009. Event seating is limited and available at 5:00 pm and 7:30 pm. Dinner tickets are $65 per person or $500 for a table of 8. A no host cash bar is available. Tickets can be purchased at: NVFish.com. For more information, contact FISH: 775.882.FISH or info@NVFish.com.